All software application builders agree on one thing, which is: building these software applications are a complex and time consuming procedure, however these builders usually do not have the privilege of excessive time. That’s when the use of frameworks came into play. People where able to use these frameworks to develop their projects at greater speeds and in much more accurate / stable manner. This was thanks to the framework’s use of generic contents and a common structure as foundation. Use of the framework allowed for scalability of these projects which facilitated in long term maintenance as well. This was possible due to the standards used through the development process which helped keep the codes organized and accessible for future improvements or amendments. Having drastically reduced the time constrains from the equation, developers were able to focus more on dedicated tasks such as functionality, quality and sustainability of their programs. 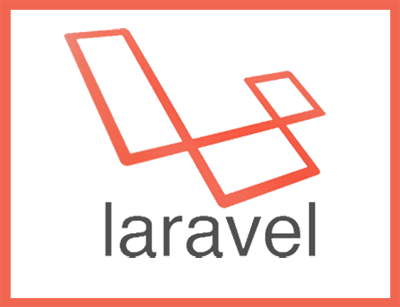 One such top of the line PHP framework is Laravel. Let’s have a look at it now. This is one of the best PHP web application frameworks of the new generation available out there. It is an expressive elegant syntax, which is aimed at bringing comfort to web developers by making the common tasks easy, which includes caching, sessions, routing as well as authentication. It gives access to powerful tools such as expressive migration system, inversion control container and integrated unit testing support. All of which are needed for the development of applications that are large, complex and robust. From complex applications to simple ones, Laravel is apt for all type or size of projects. This framework is built over many Symfony components that helps it provide a strong & tested code as the foundation. Its composer grants you the ability to manage all the 3rd party packages of your applications. This also works extremely well with SQLite, SQL Server, Postgres and MySQL. Laravel combines the best of all that is offered through other frameworks on the web which includes implementations from different languages like ASP.NET MVC, Sinatra and Ruby on Rails. Now, let’s take a much deeper look into the features of this framework. The most prominent features of Laravel, that’s keeping developers’ on the edge of their seats. • Bundles – The bundles are typically simple packages that offer added functionalities that helps you save a lot of time and coding when used. They usually contain some of the most commonly used functionalities. • Class Autoloading – The auto-load feature assures that all the components are loaded at the right time, saving the developers a lot on tedious and menial works. • View Composer – These are specific codes that run while the “view” is on load. • Unit Testing – The framework allows for the users to create the unit test very easily and then run them using Artisan utility. And, one of the important aspect is that it supports number of test by itself, thus, ensuring the application’s greater stability. • The Eloquent ORM – This is by default one of the most sophisticated PHP Active-Record implementations that’s available, making it apt at applying constrains to nested eager loading as well as relationships. By doing that it grants you complete control on the data, with convenience. • Application Logic – This can either be applied to your application directly or by using the controllers. • Reverse Routing – Reverse routing allows the creation of links directly to named routes, thus, when the developers are creating new links, they just need to use the route’s names, which will get the right URLs inserted automatically. Also, future updates or changes to the routes are as effective as well. • Restful Controllers – This is an alternate way of separating the “GET” & “POST” request logic. • Inversion of Control (IoC) Container – With IoC the developers can create optional instants or new objects, etc without the need to bootstrapping external libraries. It also grants you the freedom to access those objects anywhere and not get bothered by inflexible structures. With all these features, Laravel is one of kind PHP web application framework that’s here to take advantage of the developers’ potential and boost their effectiveness in building new applications. As the web development technologies undergo rapid changes, you can count on our team to keep your web apps up to date! What is a framework? Why using frameworks to build Websites and Web Applications? 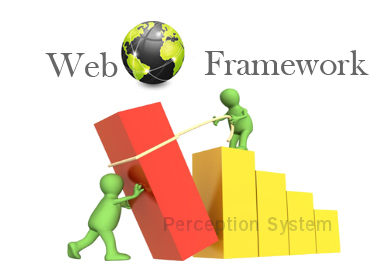 A framework is mainly designed to help developers to build unique websites and web applications. It provides core functionality to almost all web applications such as user session management, template systems and data persistence. By using a proper framework, a developer can able to save a significant amount of time when building a website. When should a developer use a framework? The necessity of using a framework can be measured based two categories. 1) The level of customization you need, and 2) The developers whom you employ. Suppose, in order to drive innovation in your company, you want to improve social interaction among your employees. However, you don’t want to use the public social networking tools like Facebook, Twitter, etc. So, you want to create a custom social network among your employees. Therefore, you will be considered a custom development done for this purpose. As this will be requiring more customization, you will be more likely using a framework. However, if you are not going to do the website or web application development by yourself, you will be employing a developer to do the work for you. Even thought a huge number of developers use open-source frameworks, some developers prefer to use their own custom-built internal frameworks, and some never uses framework at all. Like many of the communities that share their opinions, the developer community does so many aspects, such as using the actual language and design pattern, writing the code, and of course, various aspects are also there about using frameworks. Why using frameworks to build Websites and Web Applications? Most popular frameworks in many languages are open-source or available to use for free. Some frameworks come with licensing, but that is not restrictive and, however, allows developers to create commercial products using such frameworks. A framework has either good documentation or good support or both at the same time. At times, good support will be a subjective issue. Generally, paid support will be faster and more concise; however, this also depends on the activity level within the framework. Efficiency is the main reason why framework exists. If you use a framework to build a website, then you will not be required to write a lot of repetitive code, which you will find being used in various web applications. Example: Commenting Systems and User-authentication. On average, you can expect to build a website in much less time than would be built writing code without using a framework. Generally, a framework is built and tested by a large number of developers. So, it is extremely likely that various different security risks are addressed and tested when building a framework. Moreover, new security risks can also be addressed and fixed easily and swiftly. Suppose, if you are developing any web application and you want to store some data, then you will be using a database. Similar to database, there are various other tools available to link to web development. While Frameworks make it much easier to link to these tools and also to communicate with them. Author K2B SolutionsPosted on March 12, 2014 Categories Web Application DevelopmentTags application development framework, best web application framework, mobile web application framework, web application development, web application development framework, what is web application frameworkLeave a comment on What is a framework? Why using frameworks to build Websites and Web Applications? If you are a PHP developer who wants to build a comprehensive web application with numerous enhancing features, and you are looking for a simple and elegant toolkit for building such web application, then CodeIgniter is the best framework for you. PHP is an ideal programming language that provides different frameworks. It allows developers to build most innovative applications and websites. Every PHP framework has been designed with attractive features such as rapid development, ease of use, e-commerce friendly environment, features rich applications and many more. Even though many frameworks are available as open source platforms for free web development, CodeIgniter is the best among all of them. 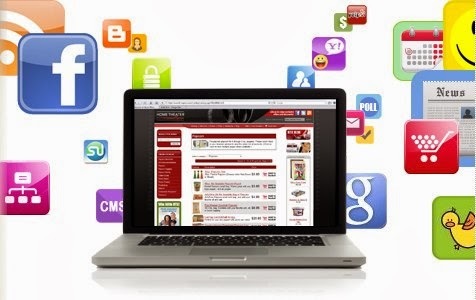 CodeIgniter consists of all the components that support rapid, hassle-free and cost-effective web development. CodeIgniter generally comes with additional benefits that make the web application light weight and easy to use. It is the perfect framework if you are looking for a change from one of those huge and undocumented frameworks that you are currently using. 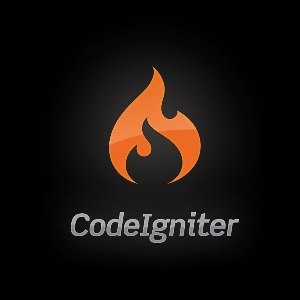 CodeIgniter enables you to achieve an outstanding performance in a very short period of time. When compared to other frameworks, configuring the CodeIgniter framework is not very difficult and hassle. As CodeIgniter is provided with various additional utilities, you will not be required to spend more time on building up the command line for adding in those utilities. By using this framework, you can be able to finish your job within a given deadline effortlessly. Adding more ease to your work is the main fact in using the CodeIgniter framework for web or software development. CodeIgniter framework is based on the Model-View-Controller or MVC architecture, which evidently states that the views have to be separated from the back-end of the application you are developing. The Model-View-Controller connects the front-end and back-end. This separation between the front-end and the back-end of a web application makes the code more readable and easier to understand. This facilitates the developer, who uses the CodeIgniter framework, not to worry about the front-end and the back-end of the application. CodeIgniter makes your web application compatible with a huge number of standard hosting accounts that have the ability to run a different variety of PHP configurations and versions. Furthermore, CodeIgniter provides great flexibility by creating classes for email, file uploading, zip coding, FTP, XML-RPC, etc. This makes the web developer not to worry about naming the database tables or the models after the tables. Whereas PHP is not essentially a templating language, however, it could effortlessly pass that test because of the way it is interpreted. Web developers who are working on the technology are even more endowed owing to the inherent attributes of CodeIgniter. This makes them not to learn any more templating language to create web applications. If you are developing an application based on CodeIgniter, you can include additional functionalities in the application by using the popular templating engines such as Twig and Smarty. Moreover, CodeIgniter is equipped with various in-built libraries with so many codes that are already written. Because of its simple and easy to use interface, developers can be able to access those libraries and use the pre-written codes for quick web development. As CodeIgniter provides quality web development solutions, it is beneficial for both the users as well as for the developers. Therefore, CodeIgniter is one of the most preferred frameworks by a huge number of businesses for their PHP application development. This tool helps in developing flexible, secure and search engine friendly web applications. The applications and websites that are developed by using this platform are considered to be highly secure and absolutely reliable. With all these incredible features, CodeIgniter today stands among the most preferable and reliable open source platforms for developing PHP based web applications. Author K2B SolutionsPosted on December 20, 2013 Categories Web Application DevelopmentTags best web application framework, codeigniter framework, how to design a website, php application development, web application development, web application frameworkLeave a comment on Why CodeIgniter is an Ideal Web Development Framework? WordPress App For Android Gets Stylized! Are You Ready For It? Hurray! At last, the WordPress App on your Android-powered device has got a facelift. The new interface is substantially more integrated and hence it enables ease of usability for the users. Also, the new interface greatly attracts the individuals who use blogs on a daily basis. Let us have a closer look at the following upgraded new interface. Menu Drawer is an interface that allows users to navigate to other parts of the application effortlessly. The users can easily access the menu by simply tapping on the arrow on the left of the blog logo. Otherwise, the users can simply swipe the screen from the left side towards the right. Suppose, if you are controlling more than one blog through the app, then the drop down menu at the Menu Drawer will show you the list of all your blogs. This menu helps you to switch from one blog to another by using a single interface. The Menu Drawer interface remembers the selection you did in your last session. This helps you to start exactly from where you left when you return. Another new interface is the Action Bar, which allows users to easily access general features such as creating a new post, sharing with other apps or refreshing the app. Apart from revamping the interface, several changes have also been done in the WordPress Android app. The View Site option in the Menu Drawer allows the users to view their own blog from within the application. The Dashboard option in the Menu Drawer helps the users to access the Admin area of their WordPress. In the updated app, the content part in the post editor can be extended. This enables users to navigate around the content area and make changes in a post easily. Suppose, if your post consists of an image and it couldn’t be uploaded properly, then the post will not be published and it will be saved in the draft, so that you can make changes in the image and publish the post later. The WordPress.com Reader is now using an improved cache system that helps faster loading. Most of the views, such as list views and the post editor, have been updated as per the Holo Style guidelines. If you want to use upgraded WordPress on Android, then you can download the app from the WordPress website. If you are not using Android, then you can redirect to the app straight away. Author K2B SolutionsPosted on September 23, 2013 Categories UncategorizedTags android application development, app designing services, application designing, custom web application development, mobile application development, smart web applications, smart web apps, web application developmentLeave a comment on WordPress App For Android Gets Stylized! Are You Ready For It? In this twentieth century, the internet has become one of the crucial inventions that changed the stance of the today’s working atmosphere. Internet provides you an inexpensive means of communication with great competence by replacing our old methods of communication. At present, all our communication processes are completely reliant on the internet utilizing numerous internet based communication tools. Nowadays, email is utilized as an imperative tool for communication and information exchange. Moreover, it is broadly utilized for efficient information exchange at a speedier rate. Also, the information exchange is guaranteed at high security level, giving appropriate coding strategies for effective steering and commotion free exchange, with no lapses. Smart web applications like Google Chat and Skype are almost being utilized and thus changing the old trend of communication through the mobile phones or landlines. The efficiency of these smart web applications is very high and gives good quality information conduction, especially with high-speed internet connection. Other features like sending information documents, pictures or even the audio-video files makes them more adaptable with a large number of applications. Various interesting web applications have been created by the proficient web developers, which assist us in a significant number of our day-to-day routine activity requirements. Web developers examine the present needs constantly and work on the inventive thoughts to build more proficient and efficient applications. Specific applications with numerous functional characteristics are planned to be created will make our work much simpler and consistent. Currently, numerous companies are working to advance the proficient tools like computing software and CRM software, which assist in the commercial workings. Examining the requirements of various businesses, these companies concoct their inventive items or products and sell them to their customers in the market. These companies additionally offer online solutions to their customers, for example web fax, fax internet, e-mail to short message service, etc. Moreover, fax internet is a feature that allows a user to send fax via internet without utilizing the fax line. This aids in preventing the stationary and also in decreasing the expense. In addition, users can able to maneuver their records from any viable system or from anywhere else, without using any immovable fax lines. Furthermore, a user can print the required specific pages thereby saving paper, ink, electricity and thus able to reduce the costs. Various large companies utilize such services to impart to the occupation aspirer around the range of any vacant position in their workplaces. Keeping up databases of capable applicants, they send letters, emails or short message services to them and promoting position vacant. In order to commune with its shareholders, the executive members of the company utilize such services to send short message services to them. However, dental practitioners may use to maintain their everyday activities with the customers. And, a survey institute may utilize this service to request feedback from people and this service is also utilized by the inn regime to send the booking affirmation messages to their clients. Thus, smart web applications play a vital role in assisting us in our office work effectively. K2B Solutions expertise in mobile solutions includes Android application development for Smartphones, PDAs, Pocket PC and other mobile devices. Our Android specialists use latest development technologies, Java and Android framework for creation of custom applications.